I witnessed an incident of Tern bullying as I was leaving the wetlands this evening. 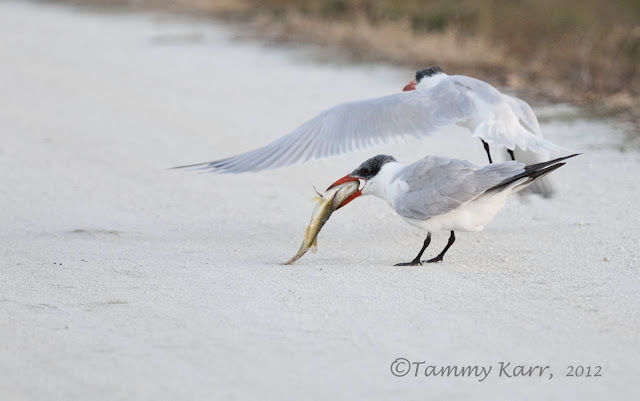 This Caspian Tern landed with his freshly caught meal while being pursued by a fellow tern. 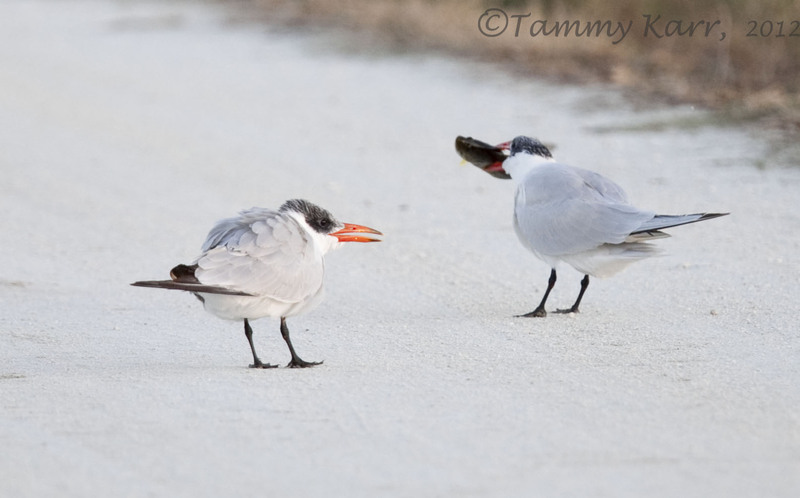 Showing his less than friendly face, he encouraged the other tern to give up its fish. Which he did, without much of a fight. haha! That's cool, Tammy! Right place at the right time and you got it! That's a pretty sizable meal, too. That was definitely a moment of opportunity as we were leaving and they happened to land right in front of us! Thank you! Woops, the fight is on. Great pictures. 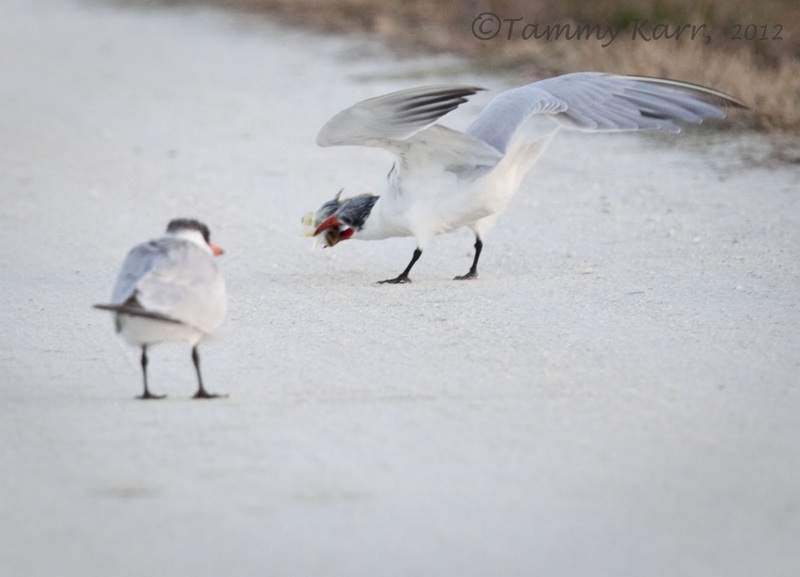 Interesting behaviour there Tammy, as if there's already an understanding there between the two birds. I was thinking that maybe they were mates, and one does all the work, haha! Vaya momento has captado Tammy, es increíble que se pueda tragar ese pez tan grande. Me encanta la luz de tus fotos. Hola Ramon! Me sorprendió también que podría comer un pez tan grande, probablemente sólo necesita uno de esos al día! ¡Gracias! 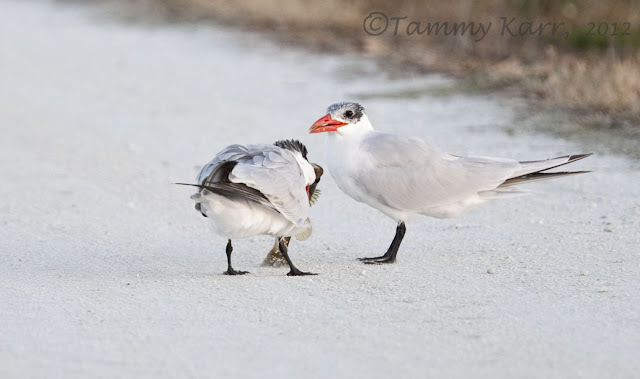 we have the Caspian terns here out on the islands...that was a big fish to stuff down!! You have a wonderful blog page here and great shots. That was a big fish, but he seemed to swallow it easily! Your Island blog is very lovely! 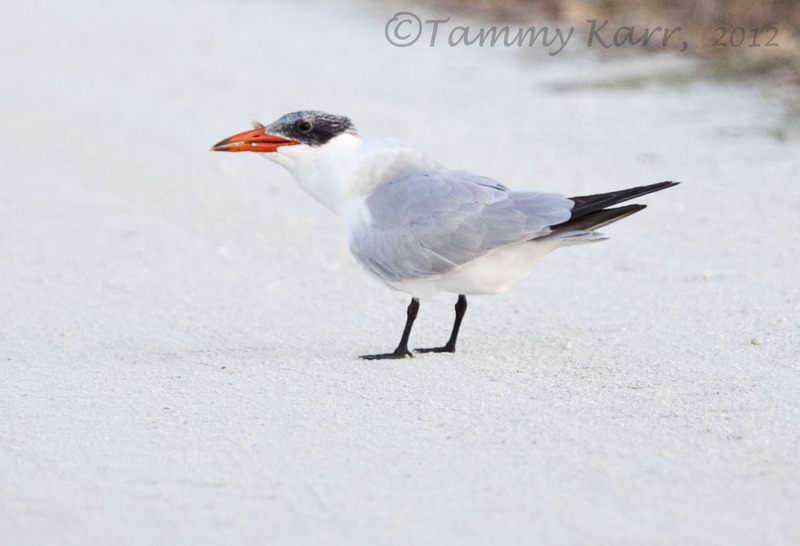 Caspian Terns feed their young for about half a year after the chicks fledge, perhaps the kid tern has lost its manners? That would seem to make the most sense! I didn't know they fed their young for that long! 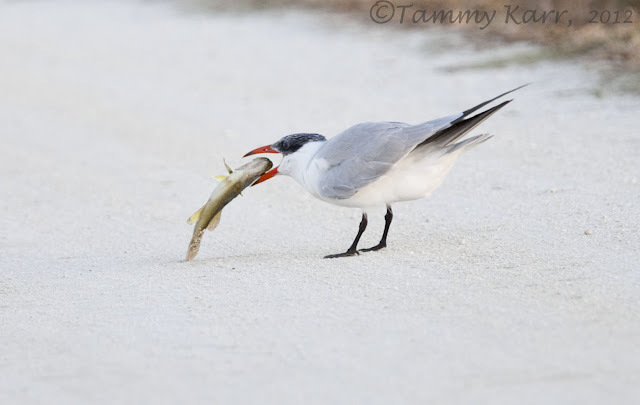 Leading me to think that the saying should be altered to read, "the early tern surrenders its fish." Nice series. Poor bird. Someone needs to read the other tern the story of the little red hen! Great shots Tammy, it's great to watch the behaviour of birds and nice to see them sharing so readily!! Thanks Alan! It's definitely always interesting to wath their behavior, you never know what to expect!